Our last blog explored some of the research that has been done on Dynamic Seating, demonstrating the effectiveness of this intervention for many of the clients using wheelchair technologies. This blog will review 3 additional studies. Although these studies are now dated, the information is still relevant to our practice today. More studies are needed, however, to update the evidence we use to inform our practice. This Retrospective study of the Aktivline dynamic seat occurred in Germany. The study found that children and adolescents could sit longer, felt less pain, and demonstrated improved posture, joint mobility, and digestion. P. Incoronato (2006). Dynamic Seating: Characteristics, Indication and Efficacy. Orthopedic Technique 4/2006, 282-285. 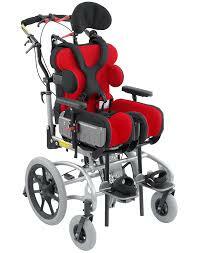 This Retrospective study of the Aktivline dynamic seat also occurred in Germany. This study showed reduction of pain and improvement of movement control of the upper extremities, trunk, and head. This study was conducted in Italy. Researchers observed that the use of a thoroughly designed dynamic seating system decreases intensity and duration of extension at the trunk and head, decreases hyperextension of the neck during spasms, decreases extension of the lower limbs, maintains body alignment with the components of the posture system during and after spasms, conserves energy consumption, and improves swallowing and, as a result, reduces drooling. I could find little information about each of these studies and the results listed here are described in other literature that I researched. As these papers were written in German and Italian, the translations impacted readability and clarity of information. Other studies focused primarily on research design and testing validity. Hopefully some of this work will be beneficial for future research projects. Please refer to our Literature Review for additional information. Some research has been presented at seating and mobility conferences but has not been published. This information will be discussed in the next blog in our Research Results series.